Meet the Second Group of CorpsAfrica Volunteers in Malawi! Africa doesn’t need just a leader, but an active leader. That is what Alpha Ba argues wherever he goes. As a proactive, engaged student, for two years he was the delegate in charge of medical and social issues for students at his university. He has worked with organizations such as UNFPA, Plan, Marie Stopes International, and Senegalese Program of Tuberculosis by organizing youth sexuality discussions, HIV and cervical cancer screenings. He was a member of an environmental movement called Ugb Verte, where he organized ecocitizen-camps in areas confronted by coastal erosion. Recently, he led a climate-based camp with Alternatiba Dakar, an organization that addresses issues regarding climate change, where over 200 people from nine countries were in attendance. Alpha holds a Bachelor’s degree in Applied Foreign Languages and a Master’s degree in Tourism and Hotel Management (Valedictorian). He is an Alumni Volunteer from the CorpsAfrica program in Senegal and is poised to share his experiences with the people of Malawi, while also learning from the Malawian people and their unique culture. Born and raised in Malawi is Ruth Chamangwana, a science teacher who attained a Bachelor of Education Science degree from the University of Malawi, Chancellor College. She has served in two teaching positions which have given her a chance to contextualize abstract scientific concepts that learners usually find difficulties grasping. During her teaching practice, Ruth served as a mentor to girls that loathed science subjects and provided remedial classes that helped more than 60% of her students to pass exceptionally well in their exams. She worked as a Program Facilitator for World Learning as her country hosted the Women in Science Camp, 2017. She is a Young African Leaders Initiative (YALI) Fellowship alumna and has skills that will accelerate her drive towards empowering girls to pursue education and equip them with scientific skills that will give them an edge over their male peers. 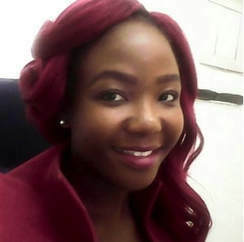 Mildred Chirwa is a certified entrepreneur, a social worker, and a volunteer enthusiast. 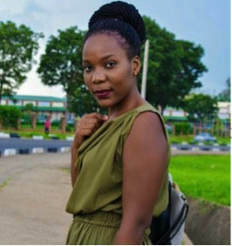 She is a founder and owner of Drez Fashions, which designs and makes custom-made clothes, footwear and accessories. Mildred works as a volunteer Business Coach under Grace Machel Trust- Creating Wealth Program. She also volunteers as an advocate for Sexual Reproductive Health and Rights (SRHR) among adolescents at Family Planning Association of Malawi. Building on this experience, she co- founded SRHR Forum which aims at disseminating SRHR information among adolescents in Malawi. As a young leader, Mildred has worked with organizations like the Commonwealth, World Peace Organization, Network for Youth Development in issues to do with education, leadership, peace building, entrepreneurship, and SRHR among young women. Mildred is a 2017 mentee under the Commonwealth Young Women Mentorship Scheme and a nominee for the Kumvana Fellowship under Engineers Without Boarders Canada. Mildred holds a Bachelors' Degree in Arts- Humanities majoring in Social Philosophy from the University of Malawi, Chancellor College. 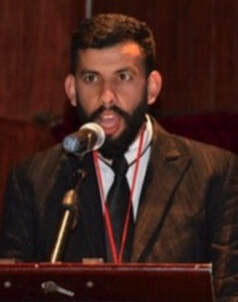 Mostafa Essalai was born in Sidi Slimane, Morocco. He graduated from the Specialized Institute of Applied Technology with a diploma in Business Management. He served as a Peace Corps counterpart in Morocco for the last seven years and has worked on many programs. Some of his roles with Peace Corps include Manager of a National Youth Peace Summit in Morocco and Committee Chair, Chairs Supervisor, and Trainer of a Model United Nations Program. He is furthermore a certified member- and close to becoming a certified trainer- in Middle East World Youth Alliance, an international organization that works with youth for promoting Human Dignity and Human Rights. Finally, he is working as a Cultural Consultant and Translator (CCT) with the Peace Corps Gender and Development Committee in Morocco. Mostafa believes that the opportunity of serving with CorpsAfrica will allow him to share his skills and potential with the community of Malawi. He will help as much as he can towards empowering the community and helping in the field of youth development. Mouhiddine Hamma is from Safi, the south of Morrocco. 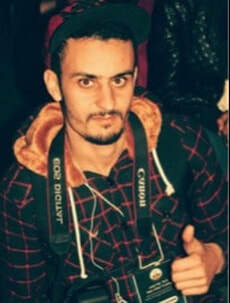 He graduated from the Institute of Graphics Designers in Casablanca and the Institute of Aircraft Construction Option: Fittings and Assembly of Aircraft Industry. Mouhiddine was a member of many local associations. He was a volunteer at Franco-Marocaine to develop schools and install water in schools. This is his second chance to be part of CorpsAfrica as he was a Volunteer in Morocco and now he is in Malawi to give all goods to his community. Dingaan Kafundu is a dedicated and driven Education professional who uses Education and the transfer of knowledge as a tool for all aspects of development. He holds a Bachelor’s degree in Education obtained from University of Malawi’s Chancellor College. Prior to becoming a CorpsAfrica volunteer, Dingaan cofounded and acted as the Projects Coordinator for the Movement for Clean Living, a University organization looking at improving sanitation amongst communities. He has taught at various secondary schools and has also worked at Africa Future Foundation as an Enumerator under the Maternal and Child Health project which worked to reduce the mortality rate in infants and pregnant mothers by improving their nutrition and hygiene. Dingaan has also worked with Standard Bank of Malawi as a Digital Expert where he instructed customers on how to use the different digital platforms that the bank has. Dingaan enjoys first-hand development work with people of diverse social and economic backgrounds and knows CorpsAfrica is giving him the platform to become the change he wants to see. Twambilire Kalolokesya is from Karonga district and holds a Bachelor's degree in Environmental Management from University of Livingstonia. She also has a diploma in environmental management from Natural Resources College. She worked as an intern and volunteer with several organization during and after her studies where she capitalized on the opportunity to facilitate programs being implemented in local communities and fulfilled tasks at the workplace. These opportunities strengthened her skills in research, practical knowledge on environmental friendly activities, as well as monitoring and evaluation. Ireen Kanjala is a career focused individual passionate about development and community work. She graduated from the University of Malawi, The Polytechnic, with a Bachelor of Science degree in Environmental Science and Technology. Ireen majored in Environmental Management. She previously worked for World Vision International under a World Food Program emergency relief project as a Field Monitor/Humanitarian Accountability partnership officer. She is also an executive member of Environmental Care Initiative (ECI), a youth founded organization that uses their expertise and talents to design and deliver environmentally friendly initiatives that make positive change happen to the environment. 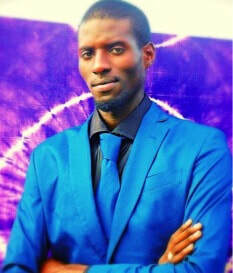 Meet Chris Kaudzu, a graduate from African Bible College with a bachelor's degree in Mass Communication. Prior to joining CorpsAfrica, he worked as a Communications Officer at the United Nations Resident Coordinator's Office (UNRCO) and had previously served as a Communications Intern for United Nations Volunteer Program (UNV). Some of his duties included developing newsletters, writing articles and writing speeches for prominent people within and outside the organization. Before joining UNV, he was working with Beta Tv, a media house located in Blantyre. While in college, he volunteered at Live Love Malawi which works with communities in various sectors. The training he got while serving there was in Water, Sanitation and Hygiene (WASH), and this has propelled his engagement in teaching and training communities in WASH. He also volunteers with Grace of God Orphanage (GOGO), were he mentors boys and helps them in their studies. Wezi Kayira habitually remarks that “education is the key to sustainable community growth in Malawi.” She prides in encouraging youths in rural areas to pursue an education so as to help achieve positive community development. 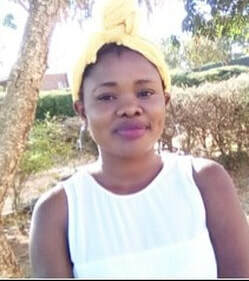 As a passionate researcher, during and after college, she helped organizations like National Smallholder Farmers’ Association of Malawi (NASFAM) and International Potato Center (CIP) in various research projects. Being a patriotic citizen, she also worked for PricewaterhouseCoopers Advisory Services Limited as a Registration Officer and assisted in the mass national registration exercise. Wezi holds a Bachelor of Arts (Humanities) Degree in English Literature, obtained from the University of Malawi, Chancellor College. 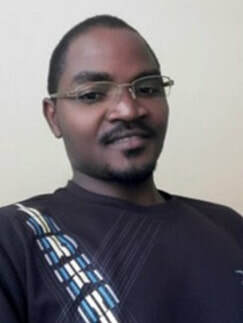 Silvester Henrick’s Kunkeyani is a graduate of Mzuzu University with a bachelor’s degree in Water Resources Management and Development with a special focus on WASH and Environment Management. Prior to joining CorpsAfrica, Silvester served as a research Assistant at Mzuzu University Centre of Excellence in Water and Sanitation from March 2017 to September 2017. Silvester has also served as a team leader for Freshwater Project International (FPI) an NGO working in the WASH sector. Silvester with a team from Drexel University from the United States of America did a research on the Assessment of Sustainability of WASH programmes in Malawi with special focus on how water quality monitoring is done on the district, regional and national level. He also served as the president for Mzuzu University Anti-Corruption Group (MUAG). He was also actively involved in volunteering activities during his days at Mzuzu University and was among the first people that founded Mzuzu University United Nations Volunteer Scheme in 2015. He has a passion for community development with a special focus on WASH, agriculture, and environmental management. Caroline Luka holds a Bachelor's Degree in Agriculture with a major Agricultural Extension obtained from the University of Malawi, Bunda College of Agriculture. 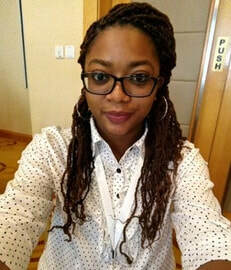 Prior to CorpsAfrica, she worked as a Research Assistant for various organizations and was chosen as a team leader where she ensured timely and accurate completion of tasks. Caroline also worked as a part-time lecturer at the Lilongwe University of Agriculture and Natural Resources NRC campus where she learned that teaching a group of students requires perseverance and patience as people tend to understand issues differently, which she handled by facilitating class tutorials for the students to work together to help each other excel. She is passionate about providing assistance and working with people in rural areas as it gives first-hand information on the main issues people face on the ground making it easier to find solutions for the problems as directly expressed by the people facing them. 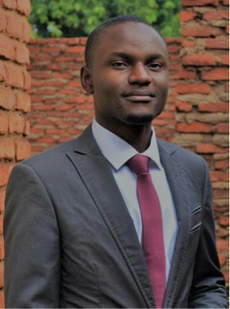 James Matipwiri graduated in 2015 with a Bachelor of Education Science Degree from University of Malawi, Chancellor College, with a major in physics/electronics and a minor in chemistry. 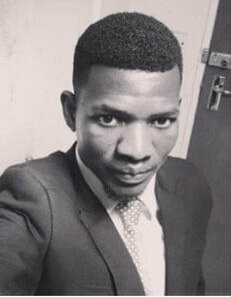 Recently, he worked at Population Services International (PSI Malawi) as a Monitoring and Evaluation Assistant on HIV Self Testing Africa (STAR) project. He has worked as an intern at Plant and Vehicle Hire Organization (PVHO) Malawi during school breaks. Co-founded Shiftech Systems and worked as Digital Engineer (part-time) which focuses on developing websites for small business enterprises. He has also worked as a Research Associate at Padoko Electronics which focuses on solving energy problems in rural areas using low-cost bicycle powered devices to power small equipment like mobile phones, power banks, and flash lights. James is very concerned with saving and preserving the natural environment, basic education, and sustainable energy development. He was born and raised in Dwangwa, Nkhotakota. 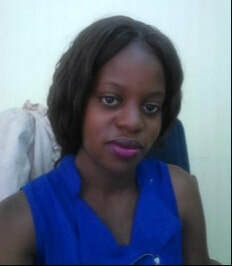 Hope Matilda Mawerenga holds a Bachelors of Arts (Humanities) from the Chancellor College, University Malawi obtained in 2015. 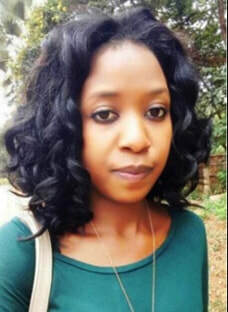 She also volunteers as the Media Coordinator for Big Hands Foundation which is committed to helping the needy and sick in hospitals across Malawi. Previously Hope was the Administration officer for F&M Creation Center, a multi-media and events management company. She was also a volunteer facilitator of SRH sessions to the girls of Kauma area for Student Driven Solutions. In addition to this, she is the Communications and Advocacy coordinator for Youth to Youth Empowerment (Y2YE), formerly known as World Bank Youth Network Malawi (WBYN). She also mentors youths and offers career guidance through the network’s mentorship, career guidance and motivational programs for secondary school students. She has mentored about 200-500 youths. Dr. Zizwa Mwafulirwa is from Mzuzu, Malawi. He is a fresh graduate from University of Malawi’s College of Medicine. He holds the Bachelor of Medicine and Bachelor of Surgery (MBBS) degree. 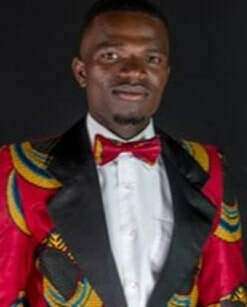 Proactive as a student, he was the Vice President of the University of Malawi Medical Students’ Association (UMMSA) and served as the class president for 3 consecutive academic years. 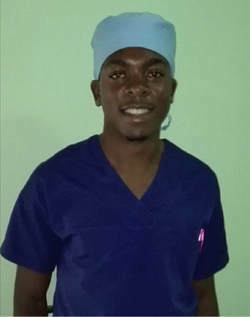 In December 2016, he represented the University of Malawi at the 12th African Regional Meeting of the International Federation of Medical Students’ Association (IFMSA) held in Ouagadougou, Burkina Faso. Zizwa is an active member of the IFMSA Standing Committee on Reproductive Health and HIV/AIDS (SCORA). Currently he is also the International Campus ambassador (ICA) of the World Healthcare Students Symposium (WHSS) for Malawi. 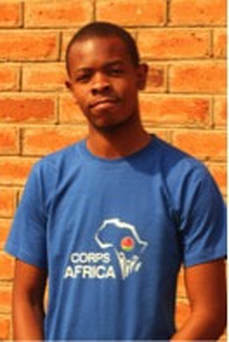 Poverty being his main issue of concern, Zizwa thinks this is the right time that he should take on something more challenging by becoming a CorpsAfrica Volunteer. Zizwa believes the best way to find yourself is to lose it in the service of others. Khwima Nyirenda is from Mzuzu, Malawi. She graduated from the University of Malawi, Chancellor College in February 2016 with Bachelor of Social Science degree, specializing in Economics. Before joining CorpsAfrica, she worked as a Monitoring and Evaluation Officer for Ungweru Organisation, a local NGO based in Mzuzu. She also filled the role of a Child Protection Officer in the same organization and has been trained in Child Safeguarding by Volunteer Missionary Movement International. 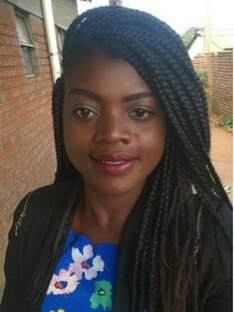 She has also consulted with Plan International Malawi on child-centered research.In her spare time, Khwima was a Business Management and Entrepreneurship tutor, imparting business knowledge to school leavers to help ease the burden of unemployment that Malawian youth face. Khwima believes working with CorpsAfrica is a great opportunity to make small changes that will make a big difference in the rural community she will be placed in, and she hopes to learn a great deal from the experience. Chancy Simba is a graduate of African Bible College Malawi class of 2017. He graduated with a Bachelor's degree in Community Development. While at ABC, Chancy interned as an Assistant Sports Director for 3 years and some of the duties and responsibilities were to organize school sports and mini Olympic events, looking after all equipment, organizing and overseeing other related sports events outside the campus. He also volunteered with Ministry of Hope an organization that helps and gives hope to needy children and orphans in different parts of Lilongwe by mentoring them and supporting their education. Chancy also attended FIBA grassroot coaching course and multiple FIBA referees’ courses. He also worked with young athletes in developing their basketball skills for the past 8 years. To be part of CorpsAfrica this year is a great opportunity for him to impart the rural community and it's a great honor to be here.